Are you a pizza maniac? We all are! Whether you like it thin crust, deep dish, stuffed crust, it is a guilty treat loved by all. Who needs a reason to binge on our favorite guilty pleasure? Baked Pizza and Co. is here to savour your taste buds with their exquisite menu. 8 exotic pizza options to choose from. Dive into their Spinach & Cottage Cheese Cannelloni that will take you on a gastronomical ride! Their Baked Mozzarella Sticks with Jalapenos and Corn are to die for. Totally Instagrammable when you pull off the cheesy strings. If you’re a Matcha lover like us, you’ll love their superliciously tasty Matcha Vanilla Milkshake. How about making your own pizza? First, you choose the size of the base- 9″ or 12″. They have 2 crust options to choose from- The Original Thin Crust and Hearty Whole Wheat. Are you the Classic Red Sauce person or will you choose the Spicy Red Sauce? The last leg of the process- choose from over 30 toppings and customize your pizza! 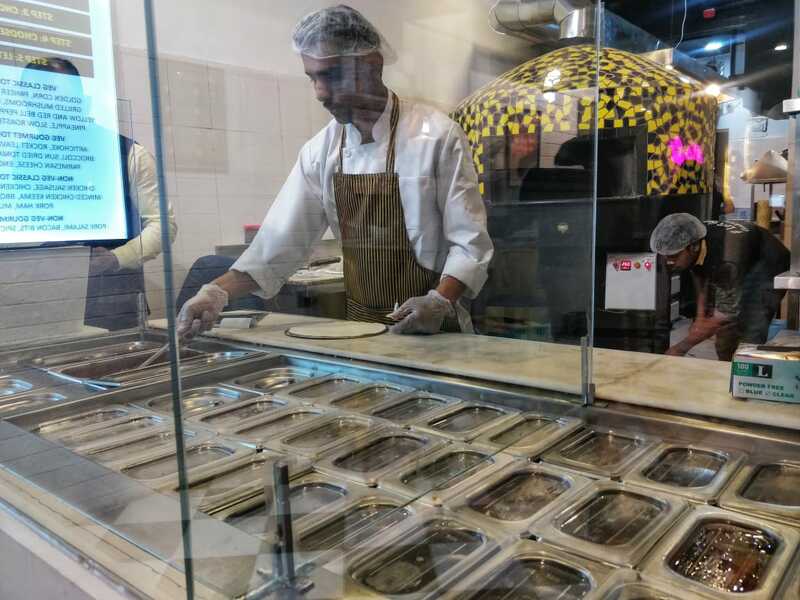 Watch your pizza go into a stone oven and receive a freshly baked pizza in 300 seconds giving them a pizza experience like never before! Subway-feels much? 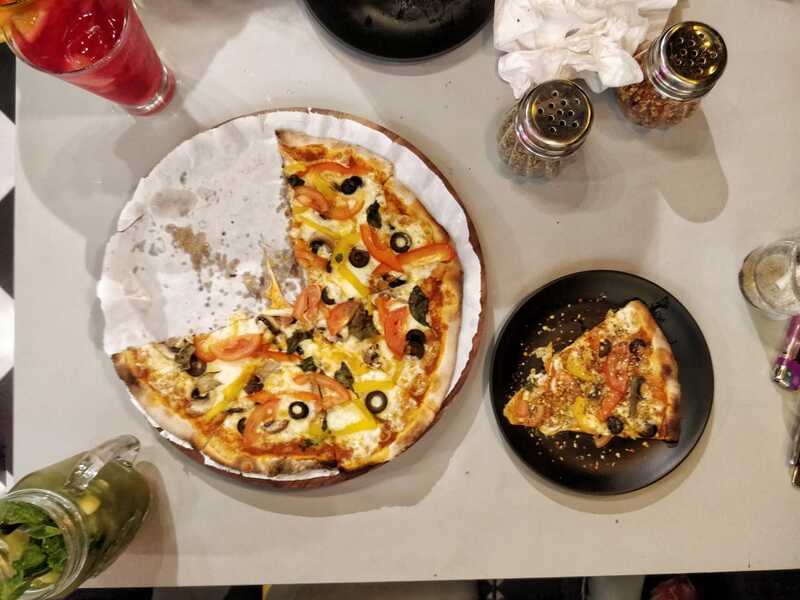 Go for their quirky ambience and an awesome pizza-licious experience. 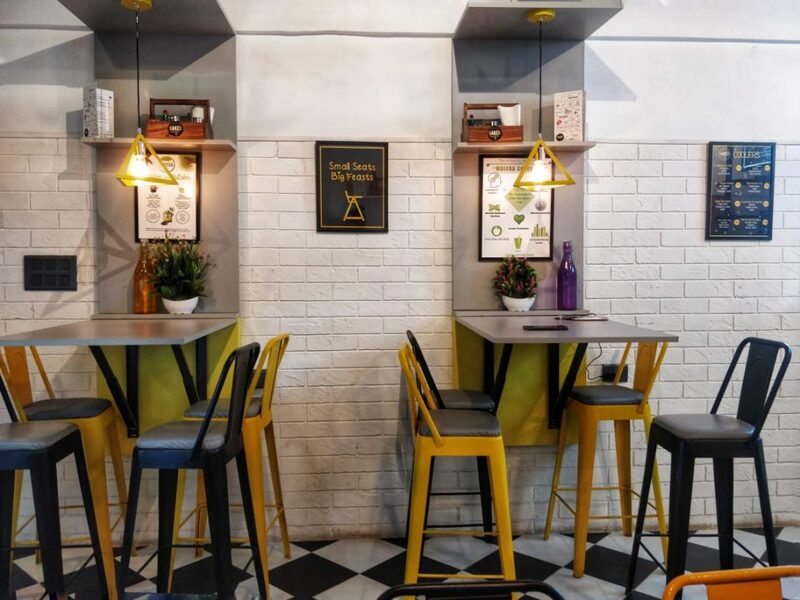 Enjoy their peppy English playlist amidst the quirky ambience while you sip their Baked Signature Coffee to warm yourself for the forthcoming everyday hustle.